The assignment for the entire first grade class was for the students to draw themselves as whatever career their 6-year old minds pictured having as adults. 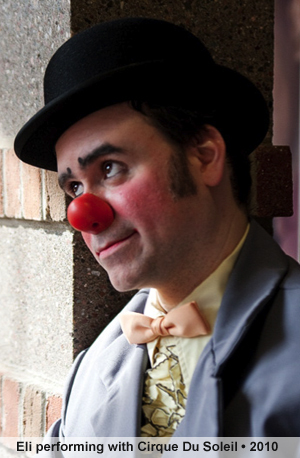 I distinctly remember drawing myself as a clown. 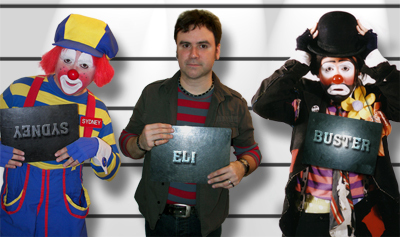 Now for the record, I did not really want to be a clown. What I wanted to be was a stand-up comedian, but not really knowing how to draw one, I chose the closest thing I could think of. Well…that’s not entirely all true either. I actually didn’t want to be any old stand-up comedian. What I wanted to be was Steve Martin! My older brother had a friend who, for whatever reason, gave me one of Steve Martin’s live comedy albums from the 1970s. I still own the record to this day and am amazed that there are any grooves left, as I must have listened to that record dozens of times, memorizing the routines and performing them for friends and family. 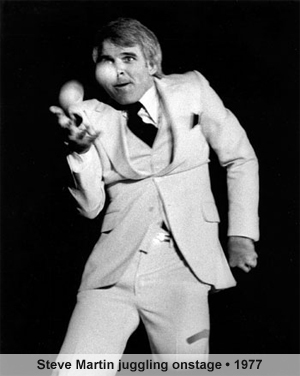 In the late 1970s, Steve Martin’s act was unlike anything that any other comic was performing. Not only was he doing his “comedy” bits, but he also performed magic, twisted balloons, and was a heck of a good musician, cutting into his comedy routine several times during his act to play his banjo. I’m not sure when I actively gave up the dream of becoming Steve Martin, but by the time I was 11, my interests were entirely on music and theatre as I taught myself how to play the guitar and participated in as many school theatre productions as possible. At the age of 13, I came across a three-hour PBS documentary on Charlie. 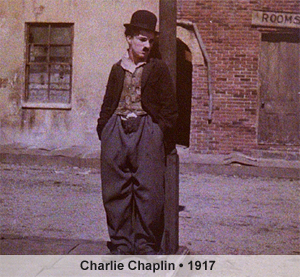 At that time, I knew as much about Chaplin as any 13 year old (i.e.”nada”). I was fascinated by the program and immediately went to the library to begin what has become a life-long obsession with trying to read everything that has ever been written on the man and watching his films over and over again to the point where every frame is permanently burned into my sub-conscious. Upon entering high school, with my love for music and Chaplin, I was given the opportunity to participate in a weekend study program sponsored by the University of Michigan’s Theatre Department. From the many topics offered, I chose to study pantomime and stage make-up. 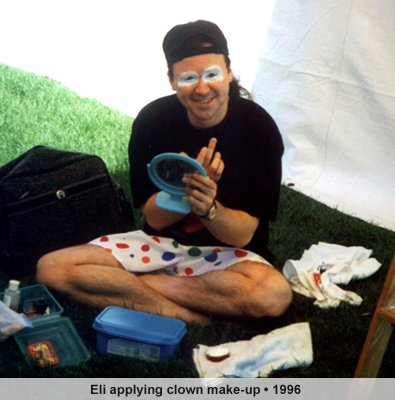 At age 14, I was now being taught how to use my face and body to not only convey emotion and to tell a story, but to enhance the audiences understanding of the story using make-up. Without realizing it at the time, everything was falling into place! Graduating from high school, I continued to focus on music as a career choice and enrolled in Wayne State Universities Music Department, where I received my degree in Spanish Guitar. Four years into my studies, I saw an opportunity to make some extra cash by becoming a Charlie Chaplin impersonator. 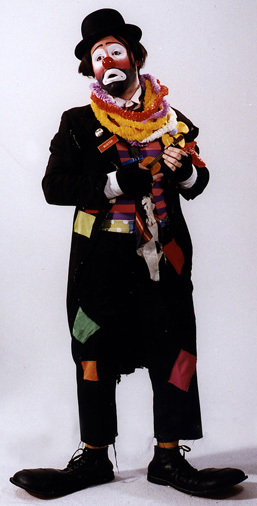 I was able to have an extremely authentic costume custom made and was even given lessons on performing Chaplin’s famous walk by another local impersonator. To aid me in my marketability, I then began to teach myself how to twist balloons, juggle and to perform some “silent” magic routines. 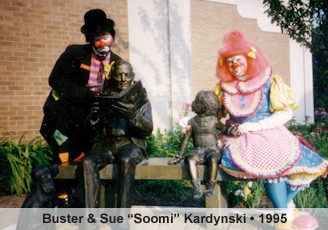 Two years into my new gig, a friend of mine who was beginning to dabble into clowning, convinced me to accompany her on a 10-week clowning course, taught by a local clown entertainment and supplies company called Clown Antics. 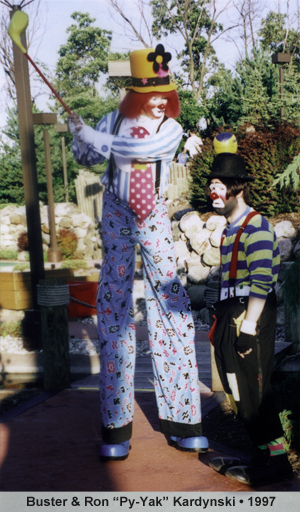 I enrolled in the course, and thanks to the encouragement of the class instructors Ron and Sue Kardynski, I decided to jump into clowning with both giant feet. I now spend my days making people laugh (hopefully), twisting balloons, doing magic and playing music. Hey…maybe I got to be Steve Martin after all. Part 6: In Which Our Hero Can’t Seem To Stop Wearing Wigs! 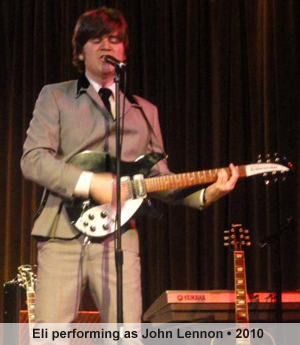 Never forgetting my love for music, in 2003 I formed The BackBeats: A Tribute to The Beatles, where I am honored to play the role of John Lennon, the “clever” Beatle. Since that time, I have had the privilege to portray Lennon with several different groups, and have played extensively throughout the United Sates, Canada, and Europe.